Kick your training off right! Exclusive access to PCG Coach moderated private training plan group on Facebook dedicated to you! Access to exclusive Hunter Allen videos that will explain energy systems, training zones and specific aspects of the workouts contained in our training plans. Daily email workout reminders from TrainingPeaks, includes phone app. Special discounts for future plans, coaching and consulting! A 9 week plan designed for the Masters (over 40) Cyclist or Triathlete who trains with power, HR (Heart Rate), or RPE (Rate of Perceived Exertion) and can train 8:45-13:20 hours per week (excluding Rest Weeks). You will need to be able to devote between 3:45-7:30 hours to training on your weekends. A 16 week plan designed for the Masters (over 40) Cyclist or Triathlete who trains with power, HR (Heart Rate), or RPE (Rate of Perceived Exertion) and can train 9 – 13 hours a week (excluding Rest Weeks). You will need to be able to devote between 2 – 4 hours to training on one of your weekend days. An 8 week plan designed for the Masters (over 40) Cyclist or Triathlete who trains with power, HR (Heart Rate), or RPE (Rate of Perceived Exertion) and can train 9 – 13 hours per week (excluding Rest Weeks). You will need to be able to devote between 2 – 4 hours to training on one of your weekend days. An 8 week plan designed for the Masters (over 40) Cyclist or Triathlete who trains with power, HR (Heart Rate), or RPE (Rate of Perceived Exertion) and can train 12 hours per week (excluding Rest Weeks). You will need to be able to devote up to 4 hours to training on one of your weekend days. This plan assumes that you will either be racing or riding hard on the weekend, so it includes three different weekend options. 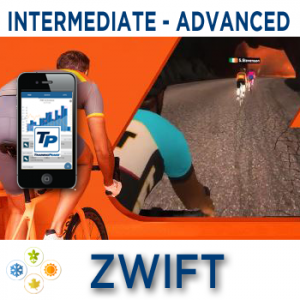 A 20 week plan designed for the Masters (over 40) Cyclist or Triathlete who trains with power, HR (Heart Rate), or RPE (Rate of Perceived Exertion) and can train 9:30-15:45 hours per week (excluding Rest Weeks). You will need to be able to devote between 4-7:30 hours to training on your weekends. a 36 week plan designed for the Masters (over 40) Cyclist or Triathlete who trains with power, HR (Heart Rate), or RPE (Rate of Perceived Exertion). 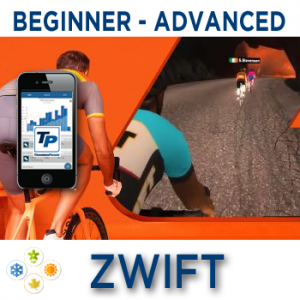 a 12 week plan designed for the Cyclist or Triathlete who trains with power, HR (Heart Rate), or RPE (Rate of Perceived Exertion) and can train 8:15-16:00 hours per week (excluding Rest Weeks). You will need to be able to devote between 4:30-7:45 hours to training on your weekends. 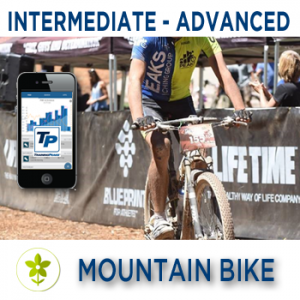 a 12 week plan designed for the Masters (over 40) Cyclist or Triathlete who trains with power, HR (Heart Rate), or RPE (Rate of Perceived Exertion) and can train 8:15-12:30 hours per week (excluding Rest Weeks). You will need to be able to devote between 4:30-7:30 hours to training on your weekends. 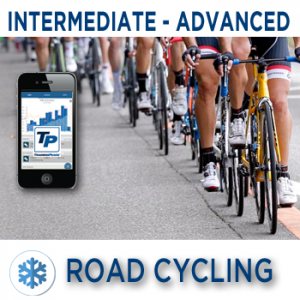 Winter Base FTP/Power Threshold Foundation 12 Weeks Masters is a 12 week plan designed for the Masters (over 40) Cyclist or Triathlete who trains with power, HR (Heart Rate), or RPE (Rate of Perceived Exertion) and can train 11:15-18:15 hours per week (excluding Rest Weeks). You will need to be able to devote between 2:30-6 hours to training on your weekends.